Mix and Chic: Home tour- A landscape designer's stylish escape! 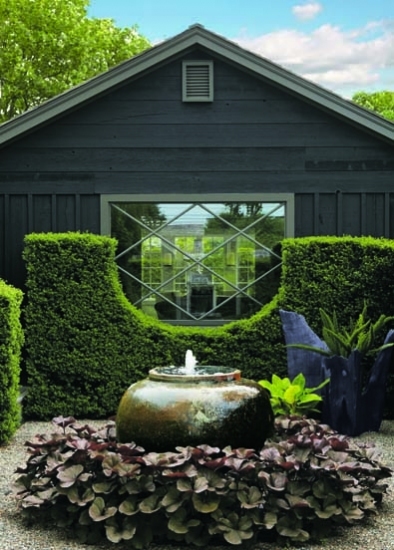 Homeowner and landscape designer, Joseph Cornetta turns a humble Sag Harbor bungalow and yard into a stylish escape. Check out his gorgeous home and his amazingly manicured backyard landscape! 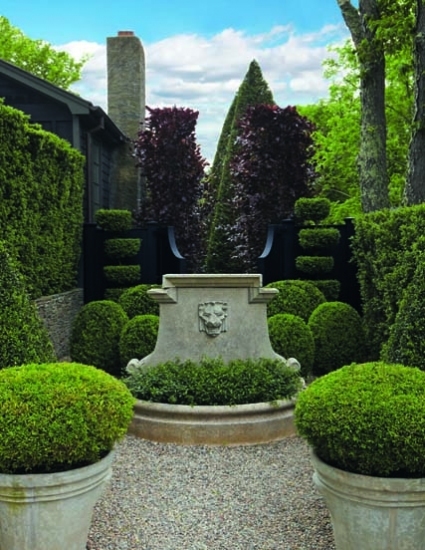 The hedge was cut into a half moon shape to provide a vista of the garden from the inside of the house. 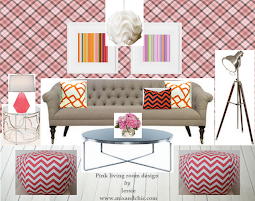 The living room was designed around the artwork around the sofa. 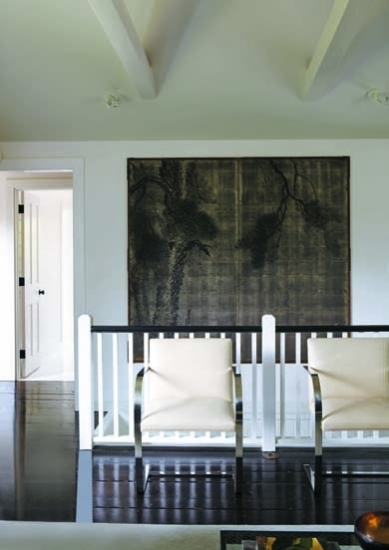 The paneled Japanese screen acts as a backdrop to a pair of leather and chrome Mies van der Rohe chairs. Four more Mies van der Rohe chairs sit around a 1960s Warren Platner table from Knoll. The original kitchen was gutted and replaced by cabinetry he designed himself. The pantry door is from a hotel in London. The garden's patio furniture was tucked behind an inviting plunge pool and fountain. 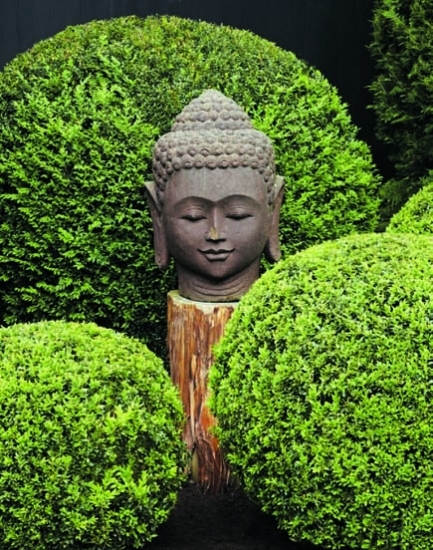 A lava stone Buddha head from Bali is surrounded by topiaried boxwood. A French fountain greets visitors in the courtyard. 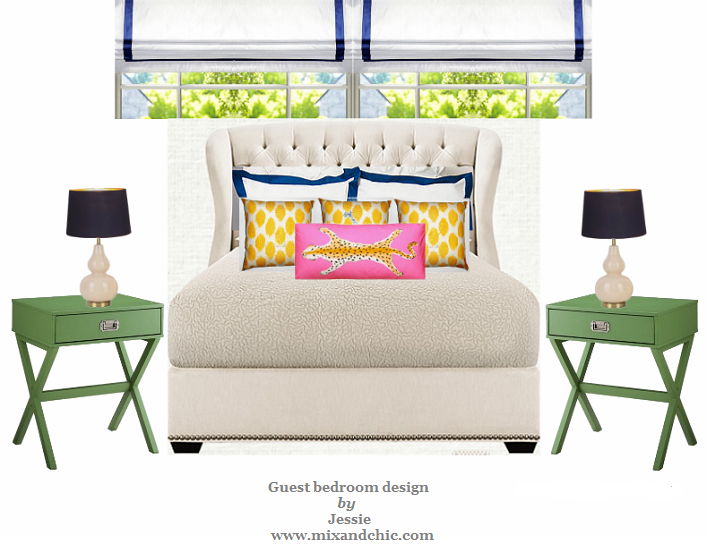 A stylish and serene guest bedroom. A casual and relaxed masculine master bedroom. I have always had an admiration for perfectly manicured gardens because they look like a work of art to me. Gorgeous landscapes like these are often the work of someone with an artistic eye with a considerable amount of knowledge about plants. Do you love manicured gardens too? Love the kitchen/dining area and the bedroom!! And of course the outside! ooo I love how the bedroom opens to the garden! Jessie, I also love this garden. Its charming how the house opens up to it. Great bedrooms! Oh, that kitchen is fabulous! It´s soooo pretty. Love it! I truly love the inside of the home, but the garden truly wowed me! I bookmarked it for landscaping inspiration to aspire to! That hedge is just brilliant! And there are two pics of my favourite chairs, the Mies Brno flat bars. 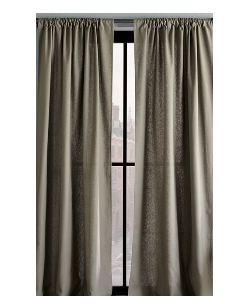 I am presently waiting for eight of them to be delivered for my dining room (upholstered in black leather though). You are officially the first to know, I was keeping it a secret. But I'm too excited! So serene and relaxing - beautiful place Jessie. Hi Jessie...I am trying to catch up on my blog reading.....Love this home and that first picture with the hedge cut out is awesome! p.s. 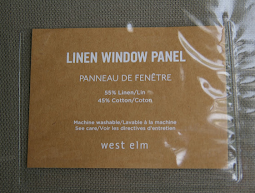 hosting a giveaway on my blog today, hope you'll check it out! Love the guest bedroom and the pool area is very serene. Jessie- that is a place that I would love to just take my time and explore. So many beautiful spaces and details!